Mandarin Oriental Hotel Group has announced that it will manage a new hotel in Ho Chi Minh City in Vietnam, scheduled to open in 2020. 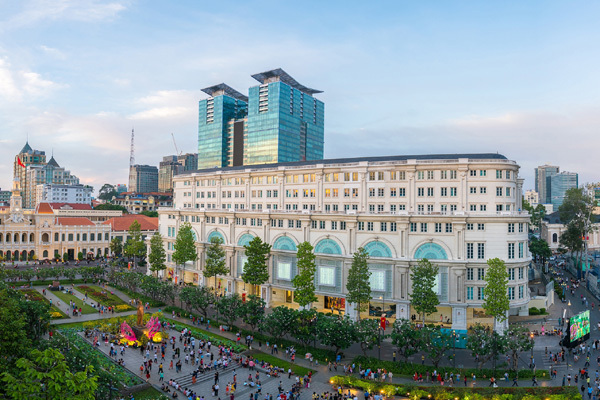 The property, which will be called Mandarin Oriental, Saigon, will form part of Union Square Saigon, a commercial building in the heart of the city, that is currently under renovation. The hotel will be situated on the upper floors of this mixed-use complex, which will also house a variety of international luxury retail outlets. The project owner is Union Square Company Limited. Mandarin Oriental, Saigon will comprise 227 guestrooms and suites, six restaurants and bars, a range of meeting and banqueting spaces, a fitness centre, a Spa at Mandarin Oriental and an outdoor swimming pool. “Ho Chi Minh City is the leading commercial hub in Vietnam and at the heart of the country’s rapidly growing economy. We are delighted to be opening a hotel in such a prime location in the city. We look forward to working with our partners to create a world-class experience and to bringing Mandarin Oriental’s renowned level of service excellence to Vietnam for the first time,” said James Riley, group chief executive of Mandarin Oriental. “With its exceptional design, locale, history and culture, Union Square Saigon is destined to become a landmark destination. We are delighted to welcome Mandarin Oriental to this project, which will not only raise the level of luxury hospitality in the city, but will also increase awareness of Vietnam internationally,” said Jonathan Au, general director of Union Square Saigon.